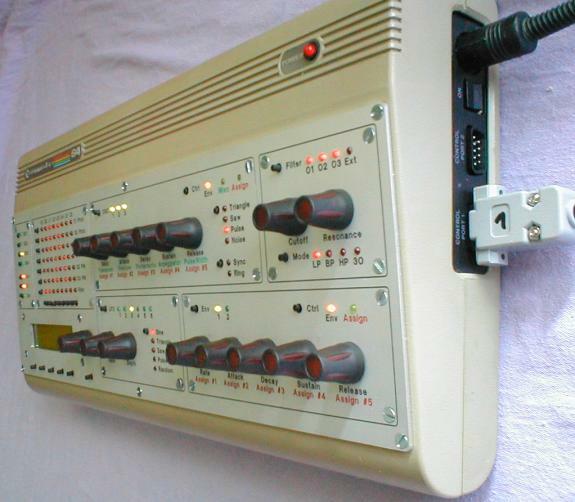 Hard-core musical applications of antique Commodore 64 computers continue to spread. There are plenty of pristine C64s out there, so there’s something beautiful about seeing these heavily modified computers get a second life. Make gets the scoop (via flickr) on a fantastic controller for Native Instruments’ Traktor DJ software. 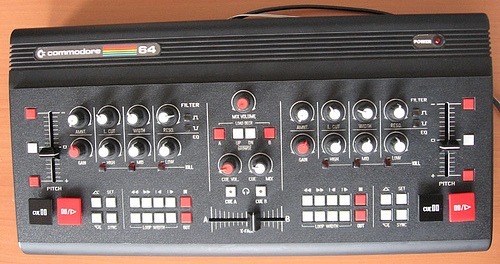 Honestly, not only is it cool that this fellow stuck this in a C64 case, but I have to say this is one of the most logical looking DJ controllers I’ve seen. I miss the presence of some kind of scratch controller, but otherwise, Native Instruments, M-Audio, Roland, et al, take a good look at this one. These are not projects for the feint-of-heart, but they’re fun to look at even for the weak-hearted. I’ll be back with a report on the Prophet64 cartridge; I heard my cart has shipped. I’m anxious to use it with a 1351 mouse, but I’m having trouble tracking one down; if any of you are selling used C64 stuff or know good sources, let me know. In the meantime, back to scouring eBay. Apple Makes Manufacturers Say Darndest Things; Is GarageBand Revolution Overblown?